During the past several years, three hospitals in the northeast were acquired by a larger hospital network. When each of the three hospitals was acquired, it switched from its existing EHR to Epic. 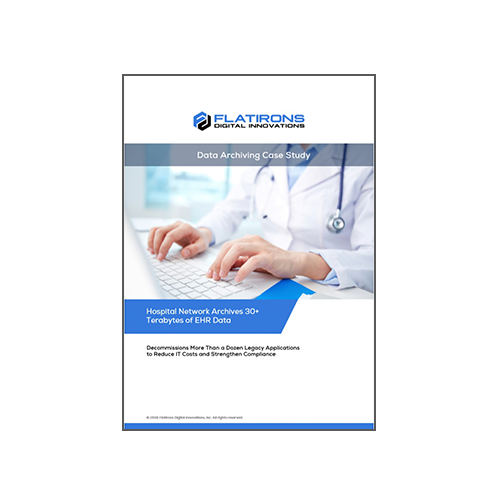 Although the hospitals adopted the network’s standard EHR system, they still had patient and, in some cases, accounting and other information on their original systems. Make it easier for clinicians and H.I.M. users to access historical information. The results of mergers and acquisitions typically include higher IT costs and greater data management risks, which the three hospitals were eager to address through data archiving.